5-a-side games played to court lines roughly the size of a basketball court. The game requires players to be skilled on the ball and quick of feet and mind. The action is fast paced, goals are numerous, and creativity and foot skills are rewarded throughout the match. 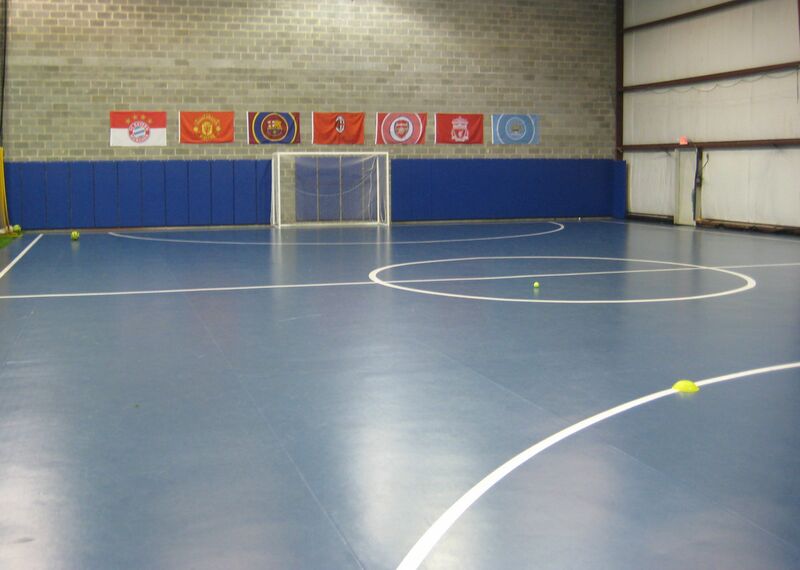 Through the SOCA Training Center in Ruckersville, SOCA is pleased to offer Charlottesville and the surrounding area a place to play this high paced indoor game. Get your team together now and sign up for the upcoming league! Register through your personal SOCA account. Get your team together and sign-up now. Don’t miss this unique opportunity to play over the winter months! All Matches will take place at the SOCA Training Center in Ruckersville. All matches will take place either on Saturdays (all day) and/or Sundays (afternoon/evenings). Divisions will tend to have consistent times throughout the season (for example all U10 Girls Matches will be scheduled on Saturday Afternoons). Age group and division times will not be known until after the registration deadline. If a player must withdraw after the schedules are released due to scheduling conflicts, they must withdraw before the first league match in order to receive a refund. 5v5 play with goalkeepers and an official Futsal ball. Matches will follow modified Futsal Rules. Trained Referees will officiate every match. Space is limited and the program may fill early. Registrations will be accepted on a rolling basis. Registration is done through your personal SOCA account. The deadline to register is December 4. Team assignments and schedules will be posted onto your SOCA account by late December. There are no refunds after January 4th. Players register individually through their personal SOCA accounts, however teams may be formed by contacting the program director prior to the registration deadline. All teams must have a coach/facilitator to manage the team. Team Roster limit is 10 players. Independent players will be placed on teams as roster space allows. No spots are guaranteed to those who register after the registration deadline. There is no guarantee that there will be enough teams in each age group to create divisions in this manner, but SOCA will attempt to create equitable divisions and help find appropriate team placements as much as possible when creating divisions. Remember that these leagues are designed for advanced players, specifically for those players participating in SOCA and surrounding club Travel level programs. The league plays a round robin competition beginning Saturday, January 5th and ending Sunday, February 24th. Games are approximately 50 minutes long and each team plays a minimum of 7 matches. There are no practices during the week, teams must be prepared to play games on either Saturdays (all day/evening) or Sunday (afternoons/evenings). U12 and older divisions will maintain league standings, and will conclude with a single championship match between the top two teams. This league is recommended for advanced players, SOCA travel players and surrounding club travel players are encouraged to form teams from their respective outdoor team rosters. Players from other SOCA programs may consider registering as a part of a team or in the regional WISL programs in either Charlottesville or Augusta. In general, older divisions will play on the hard-court surface with younger age groups playing on the turf field. However, all players should be prepared to play on either surface.